This lovely arum is endemic to Crete and can only be found high up in the mountains in shady places beneath trees or bushes. 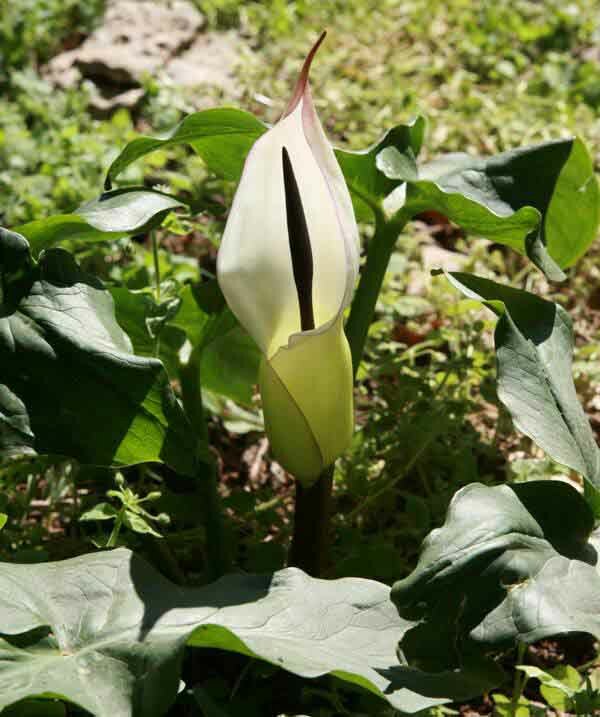 Unlike Arum creticum, which can be seen in flower through to the end of May, Arum idaeum blooms somewhat earlier in the spring (March and April). 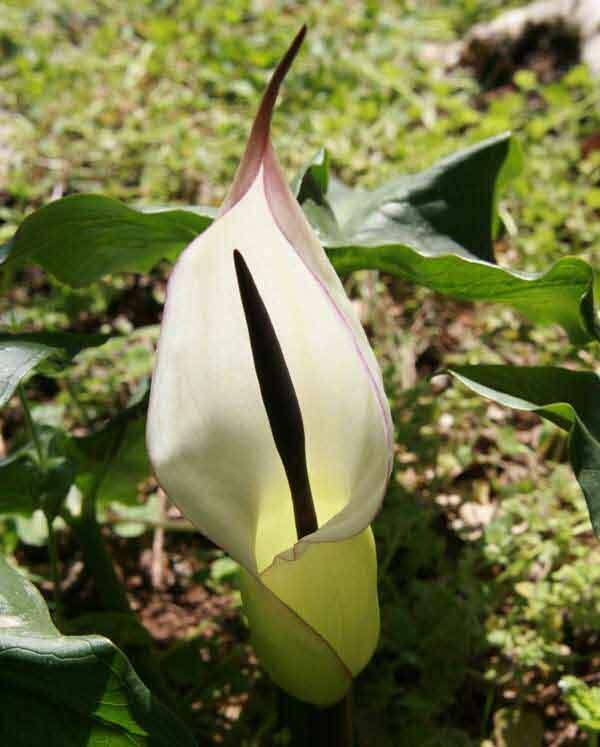 Its spathe is creamy-white and the spadix is dark purple to black. This lovely flower is in serious decline due to collection from the wild.